This cake roll makes a great dessert for almost any occasion. The tender sponge cake is filled with a mixture of sweetened pineapple, chopped nuts and coconut. Then it is topped with more pineapple and toasted coconut. It looks difficult, but it is really easy to make. Most cake rolls are baked, then rolled, cooled and filled. In this recipe, the filling is baked in the roll. The pineapple mixture is placed in the baking pan, then the batter is spread on top, before baking. Once baked, the cake is rolled up and cooled. Once cooled, it is topped with the pineapple sauce and toasted coconut. You can make the cake a day or two ahead, wrap and pop in the fridge, then just add the toppings before serving. It also freezes well. We made this recipe in a recent cake rolls class and it was the favorite recipe of the night. Here is the recipe. Hope you will give this one a try. I think you will love it as much as I do. Drain pineapple well; reserve 3/4 cup juice and 1/2 cup crushed pineapple for topping. Combine in a large mixing bowl the drained pineapple, brown sugar, coconut, nuts (your choice), 1 teaspoon vanilla extract, cinnamon and cloves. Mix well and spread over the bottom of an ungreased 15 × 10 × 1-inch jelly-roll pan. Set aside. Place egg whites in a bowl and beat until soft peaks form. Gradually add 1/3 cup sugar and beat until stiff but not dry. Set aside. In a separate bowl, beat egg yolks until thick and pale yellow; gradually beat in remaining 1/3 cup sugar and 1/2 teaspoon vanilla. Gently fold egg whites into egg yolk mixture. Sift flour with baking powder and salt. Gently fold flour mixture into egg mixture. Spread batter evenly over pineapple mixture in pan. Bake in preheated 375° oven for 20-25 minutes. Carefully loosen cake around edges. Invert cake onto kitchen towel which has been sprinkled with powdered sugar. Let stand 3-4 minutes then roll up, jelly-roll fashion. Cool cake then garnish with pineapple topping. Topping: Combine 3/4 cup reserved pineapple juice, 2 tablespoons sugar and 1 tablespoon cornstarch in saucepan; blend well. Cook until thick and clear. Stir in reserved pineapple; cool. Spoon on cake roll and sprinkle with toasted coconut. A friend mentioned to me recently that she was trying to eat more vegetables, but having a hard time. She just isn’t crazy about most veggies. I don’t think she is alone. A lot of people know they should eat more vegetables, or have kids that won’t eat veggies, but they just don’t like them. A simple way to eat more veggies is to combine them with foods you do like. Adding some veggies to a pasta dish works pretty well. Vegetables added to soup works well, too. Most people I know love potatoes. If you add veggies to a potato dish, maybe, at least, they will try it. For this dish I just sauteed up some onions, added potatoes and then the beans. Served it to a friend at dinner. It was eaten right up. Since my friend doesn’t eat bacon I didn’t add it, but it would make a nice addition. 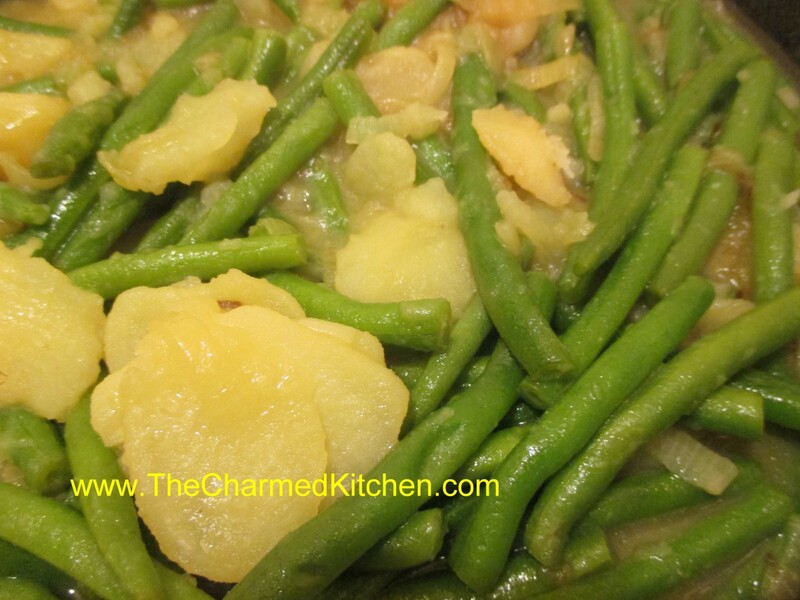 It is a nice dish, even if you love green beans already, like I do. Heat oil in large skillet and cook onion until tender. Add the potatoes and cook until potatoes start to turn a little golden. Add one cup of stock and cover skillet, cooking over medium heat until potatoes are tender. Add beans and cover skillet, cooking until beans are tender- you might need more stock. Season to taste and serve. Serves 4. 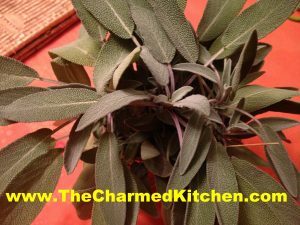 I will be giving my 4th library program on growing herbs in Parma tomorrow evening. The program is free, but you are encouraged to call ahead, so enough chairs can be set up. The first three programs in Gates Mills, Solon and Richmond Heights have all gone well. Now it is time for me to teach a class on the west side. 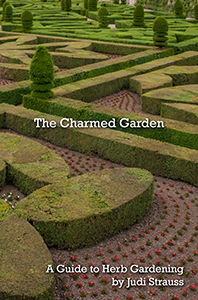 Herb: Spice Up Your Garden program on Tuesday, April 23 at 7pm at the Parma-Snow Library. The branch address is 2121 Snow Road, Parma, OH 44134 and the branch phone number is 216-661-4240. Of course, ham makes a great sandwich, but there are a lot more things you can do with it. If you enjoyed a ham over the holiday, you may find yourself with leftovers. Here are some recipes for all that ham. Ham is versatile and can be used in all sorts of dishes. 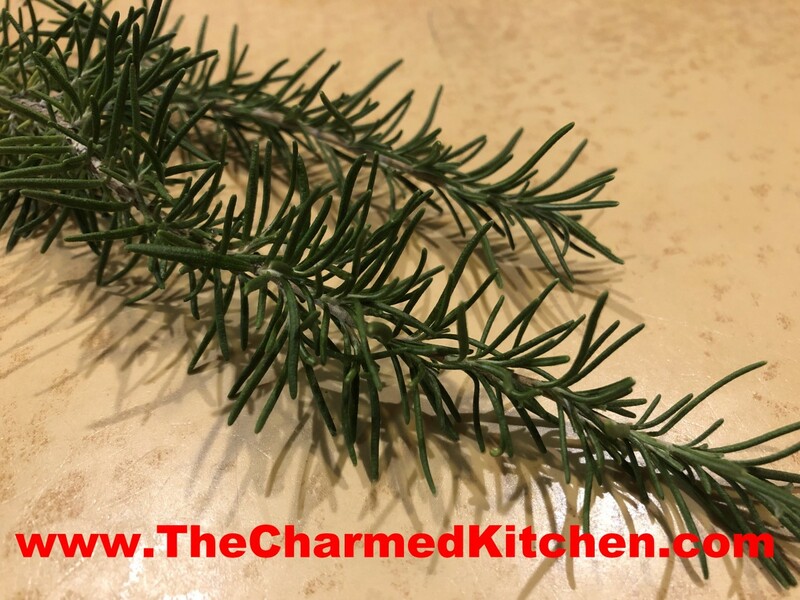 Added to soups, stir fry, breads, salads and omelets, it adds a wonderful smoky flavor to every dish. And of course, the ham bone can flavor a whole pot of soup. So here are ten recipes you might want to try. Set aside 2 cups of the all-purpose flour. Combine remaining flour with the other dry ingredients in a medium bowl. Stir in water and oil and gradually stir in enough flour to make a soft dough. Turn onto lightly floured surface and knead until dough is smooth and elastic, about 5 minutes. Cover dough and let rest 20 minutes. Divide dough into 12 pieces and roll one piece into a 8 -inch circle. In the middle of the dough place 1 1/2 ounces of the Swiss cheese, a spoonful of the dressing and 2-3 ounces of the ham. Brush the edge of the dough with water. Fold over the dough in half and press the edges to seal. Brush the edge again with water and roll the edge over again. It will give you a prettier look and seal the calzone better. Repeat with remaining dough and fillings. 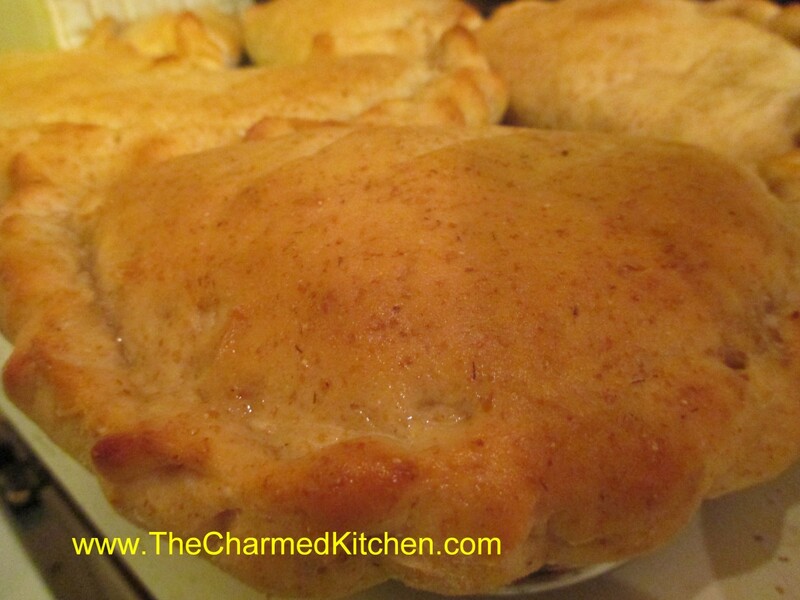 Place calzones on greased baking sheets- or on a baking sheet with a silicone liner or parchment paper liner. You will end up with 12 calzones in all. Only put 4 on one baking sheet. Cover and let rest 15 minutes while preheating the oven to 400 degrees. Before placing calzones in the oven brush with beaten egg and make a few slashes with a knife to help steam to escape while baking. I put 2 baking sheets in the oven at the same time and switch them halfway through baking. Bake in a preheated 400-degree for 20-25 minutes or until golden brown. If baking 2 at once switch them after 10 minutes or so. Cool slightly before eating. Serve warm and refrigerate leftovers. Makes 12. If you want to use regular yeast use warm, rather than hot water. Also, allow a little more time for the dough to rise the first time, about 40 minutes. Everything else will work the same. Combine equal parts of ketchup, mayo and sweet pickle relish. You likely need at least a cup for this recipe. I made extra so the sandwiches could be dipped in extra dressing, if desired. Combine first 6 ingredients in large bowl and whisk to blend well. Add next 5 ingredients and toss to coat. Add salt and pepper to taste. Chill at least 30 minutes before serving. Serve with Parmesan cheese on the side. Serves 4. In pan cook onion in oil until tender. Add the ham and cook a few minutes longer. Add corn and continue cooking until corn is heated through. Season to taste and serve. Serves 3-4. 1 large bunch fresh spinach, rinsed and steamed a few minutes to wilt, drained well. Set aside 1 cup of the flour. Combine remaining flour with the other dry ingredients in a medium bowl. Stir in water and oil and gradually stir in enough flour to make a soft dough. Turn onto lightly floured surface and knead until dough is smooth and elastic, about 5 minutes. Roll dough into a rectangle about 16 x 8. Spread mustard down center middle of dough. Top with meat slices, cheese and spinach. Cut one-inch wide strips of dough from filling to edge on both sides. It will sort of look like fringe. Alternating sides, fold strips up and over the filling at an angle. Carefully lift loaf onto greased baking sheet and place at an angle. Cover with a towel and place sheet on top of a roasting pan half-filled with simmering water for 15 minutes. Bake in a preheated 400-degree for 20-25 minutes or until golden brown. Cool slightly before slicing. Serve warm and refrigerate leftovers. Note: The variations for this bread are almost endless. Some favorite combinations are Corned beef and Swiss with sauerkraut and thousand island dressing., roast beef and cheddar, chicken, broccoli and cheese, Spinach with ricotta or feta and onions, pizza, assorted fillings. You get the idea. Use your imagination and have fun. Just be careful not to overfill, or the bread will be hard to move, use fillings that aren’t too runny and always use cold fillings. 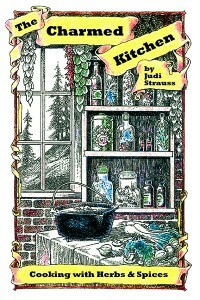 If you want to use regular yeast use warm, rather than hot water. Also, don’t let dough rise over boiling water. After kneading cover dough and let rise 45 minutes. Punch down and assemble as in original recipe. Cover with a towel and let rise until dough looks puffy, about 40 minutes. Bake as directed above. These breads can also be frozen. I was looking for a quick soup for dinner the other night. Inspiration hit when I came across some corn in the freezer. I had blanched and frozen it during the summer at the peak of corn season. I had a little ham in the fridge I was wanting to use up and the pairing was a natural. I started by sauteing an onion in a little butter. Once the onion was tender I added a peeled and diced potato, the corn, the diced ham and about 2 or 3 cups of chicken stock. I covered the soup and let it simmer until the potato was tender, about 15 minutes. I then took 4 tablespoons of flour and put it in a jar. I added a cup of milk, put on the lid and shook it until the flour was well mixed in. I poured the flour mixture into the pot and brought the mixture up to a gentle boil. I stirred it as it thickened up. I cooked it for a few minutes and adjusted the seasonings adding salt, fresh ground pepper and a dash of hot sauce. I also added some chopped parsley. The end result was a wonderful chowder that took almost no time at all. Sometimes the best dishes come from just looking at what we already have. In this case some frozen veggies and a bit of leftover ham. Heat oil in wok or skillet and cook onion and carrots for 3 minutes. Add cabbage add garlic and stir fry 2-3 minutes longer. Toss in the pepper and bok choy and cook 3 more minutes. Add ham, green onions and almonds along with seasonings and soy sauce and cook until ham is heated through. Serve over hot cooked rice or pasta. Serves 3-4. I started by trimming the Brussels sprouts and cutting small ones in half. I quartered the larger ones. I heated a little butter in a skillet and added 3 cups of prepared Brussels sprouts. I cooked them until they were getting a little color on them. I think their flavor is enhanced by sauteing. I then added 1 1/2 cups of diced cooked ham and 1/2 cup of water. The water helps steam the sprouts so they are tender. I like Brussels sprouts tender. You can skip the water, if you like. The water evaporates quickly and as soon as the ham starts to brown a little the dish was pretty much done. I added a little freshly ground pepper- but it didn’t need salt. I also served it with fresh grated Romano cheese. You could serve it as is or toss in some cooked pasta with the ham. Simple and really good. You might even get a Brussels sprout hater to give this one a try. Note: you can use 1 teaspoon liquid smoke if omitting meat. Combine peas, boiling water or stock and bay leaf and simmer, covered, about an hour, stirring occasionally. Remove bay leaf. Add remaining ingredients, except diced meat and salt, and cook, covered, over low heat for about 30 minutes. Add meat and cook 1 hour more, stirring occasionally. Season to taste. Serve with a pumpernickel bread. Freezes well. Serves 6-8. Place six slices of bread on bottom of 2-quart oblong casserole. Top each slice of bread with a slice of cheese. Top cheese with the onions, peppers and ham. Top with remaining bread and cut each “sandwich” in half diagonally. Combine remaining ingredients and pour over sandwiches. Cover dish and let stand several hours or overnight in the fridge. Bake uncovered in a 350-degree oven for 40-45 minutes, or until puffed and set. Serves 6. Note: This quiche freezes well. After adding the fillings just wrap in heavy foil and freeze solid until ready to bake. When ready to bake unwrap and allow to sit at room temperature for 30-60 minutes. Bake as with the fresh version, but add another 10-15 minutes to the baking time. If you don’t want to freeze the pie pan, you can line the pie pan with foil before you add the crust. Once it is frozen you can remove the frozen quiche from the pie pan and wrap, returning to freezer. When ready to use unwrap and put the quiche back in the pie pan before baking. You can also use a foil pie pan. I was looking for a fun way to serve my pickled eggs for Easter dinner and I thought of making deviled eggs with them. They came out so pretty- and colorful. 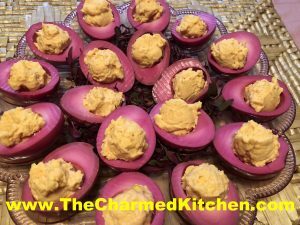 The eggs were pickled with beet juice, for the bright pink color. The rest of the dish, I made just like I would normally make deviled eggs. I started with 12 eggs. I cut them in half and carefully scooped out the yolks. I used a fork to smash up the yolks. Then I added 1/4 cup of mayonnaise, 1 tablespoon of honey mustard, salt and pepper to taste and a pinch of cumin. I used a small cookie scoop to place the yolk mixture in each of the eggs. Then I just placed them on the plate, with some pretty purple micro greens underneath. Simple and very pretty. Of course, you don’t need to serve them just on Easter. These eggs would make a nice addition to any Spring or summer meal. 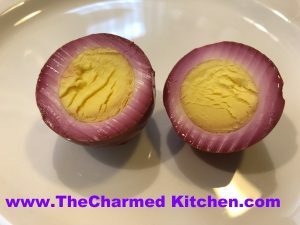 Here are the directions for making the pickled eggs. I am not sure which I love more in this recipe- the lamb that is cooked to tender perfection- or the Greek lemon egg sauce. Both are very special. I love lamb and have cooked it lots of different ways. This preparation will always be a favorite. The recipe uses lamb shoulder, cooked with onions and Romaine lettuce- yes lettuce. The lamb is browned and then cooks gently until tender. The lettuce also cooks down and adds a nice green flavor to the dish. The real magic is the lemon egg sauce, used to top the lamb once finished. It is creamy and has just the right amount of tang from the lemon juice. You could make this dish with pork or even chicken, but my favorite version is with lamb. 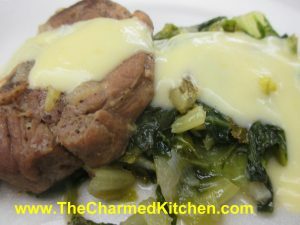 I also use the lemon sauce with meat and rice stuffed zucchini. My dear friend Amy, had the dish on a trip to Greece and we made it often. Cut the meat into serving pieces. Heat the oil in a pot and sauté the meat. Add salt, pepper, the onions, lettuce and a small amount of water. Cover the pot and let the fricassee simmer for about an hour. Prepare the egg and lemon sauce, pour it over the fricassee and serve. Bring stock to the simmer. Beat eggs well. Mix the flour with the lemon juice. Add to the eggs and keep beating. Add the hot broth slowly while you keep beating. Pour the egg and lemon sauce in the pot and bring to a simmer, stirring constantly. Makes 1-2 cups. For a thinner sauce eliminate the flour. 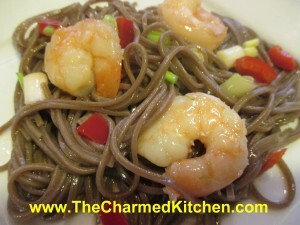 Whenever I make soba noodles, I wonder why I don’t eat them more often. I really love their flavor. Soba noodles are made from buckwheat flour. They have a wonderful, almost nutty flavor. I picked these up at a recent visit to the Asian market. You can find soba noodles in some grocery stores, too. I have enjoyed soba noodles in cold salads, hot soups and stir fries. This time, I decided to use them in a salad that fell somewhere between hot and cold. It made a great meal for a rainy evening. In pot of boiling, salted water, cook noodles according to package directions. They only take a few minutes. Be careful not to overcook them. Drain and set aside. Heat a skillet and add the oil. Add the shrimp and garlic and stir fry until shrimp are just cooked through. Time will vary based on the size of the shrimp you are cooking. Place soba noodles in a bowl. Add the cooked shrimp and veggies. Make dressing by placing all dressing ingredients in a jar with a tight fitting lid. Shake until mixed well. Pour dressing over the noodle mixture and toss to coat evenly. Serve while still warm. Serves 4-5. For a recent family function, my cousin Laurie, asked me to make this bread. My mother was famous in our family for this bread. She made it throughout the year. and always around Easter. It makes a great bread with dinner- and a wonderful ham sandwich. The recipe uses butter. She was a very frugal person. One day, she decided to render the skin from a duck she was using in soup. She didn’t want to just toss it. Too wasteful. Once it was cooled, the duck fat looked like butter. She was making her sweet bread and substituted the duck fat for the butter in the recipe. When my brother-in-law, Bob, tasted it he declared it was the best bread yet. My Mom told him what the secret ingredient was, and from that day on, we always called it duck fat bread, even when it was made with butter. Here is the recipe- wonderful even if made with plain old butter. Combine flour with sugar and salt. Cut in butter or duck fat and set aside. Dissolve 2 teaspoons sugar in warm water. Dissolve yeast in warm water mixture and set aside. Allow to become bubbly, about 5 minutes. Combine milk with eggs. Stir in yeast mixture and add to flour mixture stirring well. Knead dough in bowl until smooth, about 10 minutes. Place on lightly floured surface and knead until smooth. Cover and let rise until doubled, about 1½ hours. Divide dough in half and then each half into thirds. Roll dough into ropes and braid three ropes together. Repeat with remaining 3 ropes. 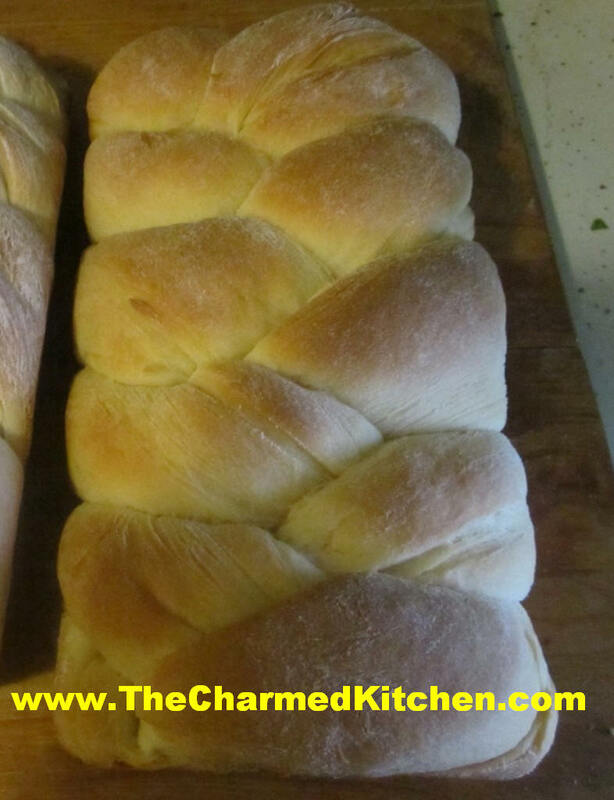 Place braids in 9×5 inch greased bread pans and cover with a towel. Place in a warm, draft-free place and allow to rise until doubled, about 1½ hours. Bake in a preheated 350 degree oven for 25 minutes. If you like glaze loaves while warm with a mix of powdered sugar, a little milk, butter, and vanilla. Toasted almonds or walnuts can be added, if desired. Makes 2 loaves. Note: You can also refrigerate the dough after kneading it if you would prefer. Just place dough in an oiled bowl, cover with plastic wrap and chill overnight. Roll and shape dough into braids when cold from the fridge. Rise, covered, until doubled in bulk, about 2-3 hours. Bake as directed. Note: You can also place loaves on a greased baking sheet for a longer, flatter bread rather than in loaf pan. Asparagus will always be one of my favorite vegetables. I just love it. I grabbed a couple of bunches at a local produce market the other day. 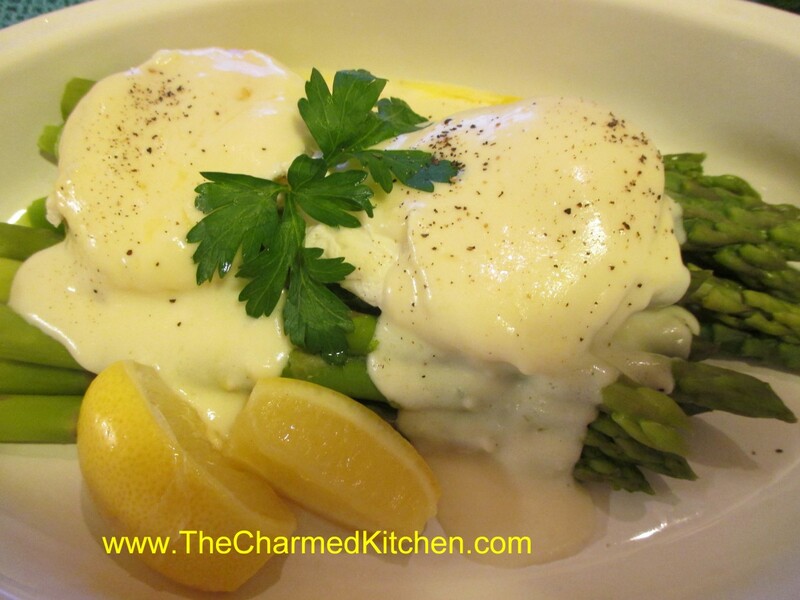 As I started writing out the recipe for this dish, I was thinking about my Mom and how much she loved asparagus. She always wanted the bigger asparagus spears- she said they had more flavor. I remember her showing me how to break the bottom of the stalks off and how she would cook them until they were just done- but not mushy. She wouldn’t consider eating canned asparagus- only fresh- so the season was short. It was something to be savored while it lasted. Most times she just placed the cooked asparagus on a plate, topped with a pat of butter and a sprinkle of salt. One time, though, she made a white sauce and poured it over the asparagus. It was bliss. Naming a recipe can be tricky. Sometimes, I just list the ingredients in the dish- like chicken with pineapple and honey. That works, but feels a little like cheating to me. I started out calling this Asparagus with Eggs, which was fine. Then I thought of how much my Mom loved asparagus. So in her memory- I named the dish after her. For this version I used a white sauce, and topped the asparagus with 2 poached eggs, too. It was a lovely dish and made for a great dinner. It also makes a nice meat-free meal. Put the asparagus in a steamer and cook for about 5 minutes- or until almost done. Set aside. Make white sauce, but add some lemon juice to it. I just kept squeezing lemon wedges in until it tasted right to me. Set sauce aside. Boil some water in a shallow pan and add a tablespoon of vinegar to the water. Drop the two eggs in and simmer, covered until the whites are opaque and the yolks are still runny. While the eggs are cooking return the asparagus to the heat and cook until just tender. 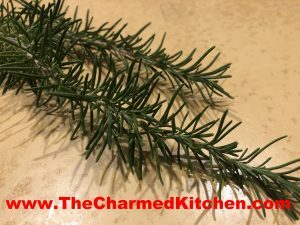 Place asparagus on a serving dish. Sprinkle with a little salt. Gently place the eggs on top of the asparagus. Spoon some of the white sauce over the eggs. You will have more sauce than you need. Save it for another use. Garnish with lemon wedges and parsley, if you like. Finish with some salt and fresh ground pepper. Serves 2. The start of many a classic dish. In saucepan melt butter or heat oil and add flour, stirring until smooth. Slowly whisk in milk, stirring constantly until thickened and bubbly. Turn heat down and continue to cook, stirring constantly for a couple minutes longer. Season to taste. If you are going to store the sauce for later use place a layer of wax paper on top, store in a container with a lid or pour a little milk over the top to prevent a skin from forming. Makes about 1 c.
Lemon: Add zest of a lemon, 2 T. lemon juice and 2 T. butter just before serving. I will be giving a talk on herb Gardening at the Richmond Heights Library. This is a free program, but you are encouraged to register ahead of time. So if you want to learn more about growing your own herbs, this might be the time to do it. The program is on Thursday, April 18 at 7pm at the Richmond Library. The branch address is 5235 Wilson Mills Road, Richmond Hts., OH 44143 and the branch phone number is 440-449-2666.